Are you among the third of men who have driven whilst under the influence? Or maybe you’re one of the 71% of drivers who replace their car within five years? Find out which part of the country gets in the most car accidents, which gender is most likely to get caught speeding, and many other exclusive motoring insights in our 2016 Driver Habits Report! Earlier this year, you may remember we created a brief public survey, with the intent of finding out as much as possible about how people from all over the country behave when they’re behind the steering wheel. We’re pleased to reveal that the survey was a huge success, and the results have now been collected together and used to create a comprehensive report. As mentioned within the report, the survey covers everything from road rage, driving under the influence and accidents, to the frequency of car upgrades and general driving style. You can download a copy of the report here, or read on to discover our top findings! 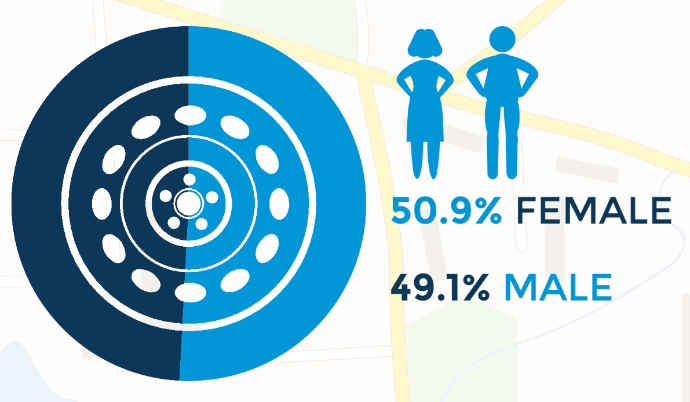 We surveyed a total of 1,174 people on their driving habits, quirks, and opinions; receiving responses from all over the country, with an almost 50/50 split between men and women. The majority of people (50%) were aged between 45 and 65, with 47% of them having passed their driving test in their late teens or early twenties. Not only did two thirds of the people asked owned two cars per household, a whopping 71% of those surveyed said that they would replace or upgrade their car at least once within 5 years of purchasing. Car leasing offers a flexible upgrade solution that could be of huge benefit to those looking for the latest transport at an affordable price. 71% of people upgrade their cars within five years of purchasing one. Tweet This! In terms of location, the highest number of responses were received from Southern England, whilst Northern Ireland provided the smallest amount of data (just 1%). When it came to regional differences, you proved that behind the wheel we are not really that different. However, drivers in the Midlands reported the highest frequency of involvement in crashes, with over half of them having been involved in an incident before. In terms of drink driving (within the legal limits), the north also proved to be better at driving sober. Only 12% of people in Scotland said they’d driven after drinking within the legal limits, compared to 30% from Southern England and 32% from the Midlands. Drivers in the South of England 50% more likely to drive after drinking than those in Scotland. Tweet This! 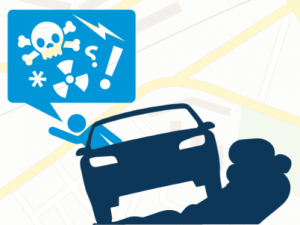 The survey report also breaks down the findings by gender and age, highlighting how men tend to be more aggressive drivers, and how those in their late twenties are much more likely to eat in their car. For more statistics on gender and age differences in driving habits, download a copy of the report today, or contact our press office for a personalised summary. So now we know who answered the survey. Let’s take a look at what they get up to when they’re driving. Many of our questions were tailored towards discovering your in-car habits, from eating and smoking in your vehicle to driving whilst under the influence, we wanted to get a better understanding of just what it is you get up to when alone in your car. Over a third of participants said they rarely ever eat in their car, whilst 34.3% admitted that they sometimes do eat whilst driving. Hot drinks also seemed to be a popular in-car refreshment, with more than 60% of respondents saying they have consumed hot drinks in their car before. When it comes to smoking in your vehicle, we are pleased to report that the large majority (83%) of participants said they do not smoke whilst driving, and that support of the ban on smoking whilst driving with someone under the age of 18 is strong. However, we can reveal that Males and females between 25 and 33 years old are more likely to smoke while driving than any other age group. 28% of those questioned also admitted to cheekily checking their phone whilst their car is stopped, an act that is considered illegal here in the UK. People aged 25-33 are more likely to smoke while driving than any other age group. Tweet This! Once we got a good understanding of what you got up to in your car, we wanted to see how that affected your driving style. For example, we found that over a third of all our respondents had been caught speeding before, although more men had been caught than women. Our survey also touched on drink driving within the legal limit, asking whether the respondents had ever driven after having a drink. Rather shockingly, more than a quarter of people surveyed said they would drive after drinking alcohol, but within the legal limits. Drivers have strict alcohol limits here in the UK (although these differ in Scotland); however, these limits differ for each person, and are based on the milligrams of alcohol found in your breath, bloodstream and urine. You could face serious consequences, including imprisonment and a ban from driving if you are found guilty of drink-driving, so please drink responsibly, and consider organising alternative transport home if you’ve been drinking. We also uncovered that just under half of those who took the survey had driven whilst tired before, and can reveal that males are more likely to get behind the wheel whilst tired, especially younger males. Younger drivers said they drove whilst tired more often than any other age group: 63% of drivers aged 33 and under admitted to driving whilst feeling sleepy. 63% of drivers under the age of 33 have driven whilst tired. Tweet This! According to our survey, the older you get, the more relaxed your driving style becomes. We found that over 50s are the least aggressive drivers, whilst 18–24 year-old males tended to have the most aggressive driving style. Reassuringly, only a quarter of our sample said they had been involved in road rage incidents before, and a very small minority of that group said incidents required emergency services to intervene. We did discover that drivers under the age of 25 were more likely to be involved in a road rage confrontation that any other group, especially male drivers. Younger drivers are more likely to be involved in road rage than any other age category.Tweet This! Almost half of those surveyed admitted to being in a car crash or collision, and nearly 40% of those people said that it had changed the way in which they drive. The report itself explores which region, and age group, is most susceptible to both road rage and collisions. We were overwhelmed with your response to our survey, and just wanted to say a huge thanks to all those who took part. We’ve managed to gather incredibly interesting statistics, and have gained a unique insight into how UK drivers feel and behave behind the wheel. Download your free copy of our 2016 UK Drivers Habits Report here, and let us know what you think of the findings in the comments below. This entry was posted in Reports and Surveys, Road Safety by Stuart Wild. Bookmark the permalink.